A Leader’s Legacy: What Does Your Recruiting Poster Look Like? 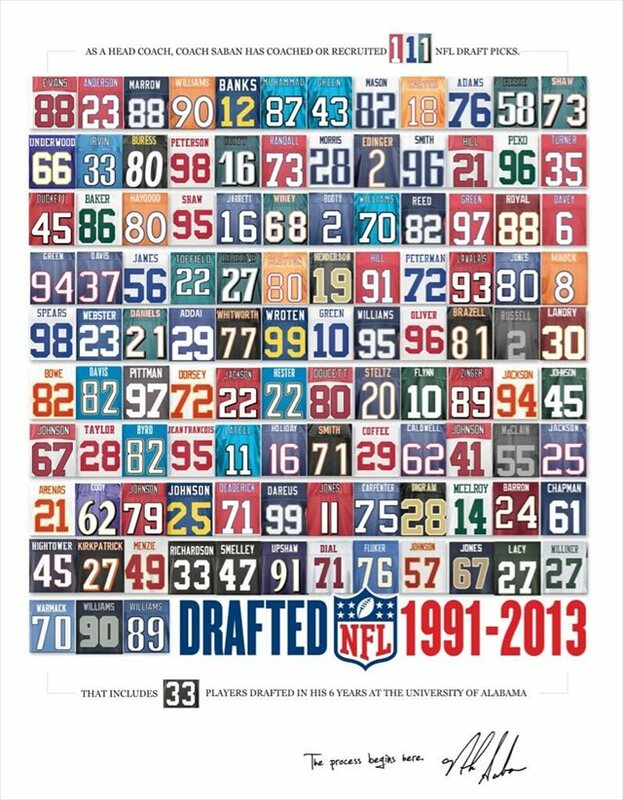 In May of 2013, the University of Alabama released a recruiting poster with the jerseys of 111 former players who Nick Saban has coached or recruited during his time in the NCAA. Every jersey on the poster represents a young athlete who went on to achieve his goal of playing in the National Football League. The poster could have touted the fact that Saban won three national titles in four years, displayed pictures of the 14 bowl games his teams played in, or the focal point could have been a giant “74%”, his win record. But it’s not. This poster is all about Saban’s legacy. As leaders, we sometimes lose our way. We get focused on the words in our evaluation reports and our personal achievements, forgetting our responsiblity to develop the next genration of leaders. Losing our way is easy because most leadership positions in the military are only two-year rotations, so near-term results tend to be more attractive than deliberately developing subordinates. Our goal at the end of our time in service should not be amassing a stack of papers listing out our achievements, but a poster of the uniforms of former subordinates; each one representing a young Soldier or leader who went on to achieve their goals and do great things both in the military and in the private sector. So, how’s your poster coming along? To me that says that, if you trust your son with me, the hard work from all those cold Friday nights and other sacrifices could really pay off.